With so many different retail stores crying out for your dollar it can be difficult to know where to shop. There are now mobile apps that can help make your shopping experience a lot easier by showing you real-time prices, locations and the best deals. Google Shopper is a neat price comparison application that allows you to quickly look up the price of an item in various stores in order to find the best price. You can search for the product in a variety of ways including barcode scanning, free text search, voice and by taking a picture of the product. This app can also provide you with a map and directions to the nearest store selling the item at the best price. Google Shopper also creates a history so you can return to any past search. You can also find customer reviews and full product details. 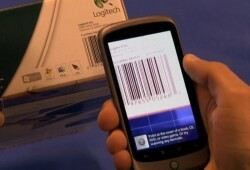 Certain retailers will even provide you with information about inventory levels and where you can find the product. Google Shopper will quickly become your new best friend when shopping. This handy mobile application is free. It is available for Android, iPhone, iPod Touch and iPad. 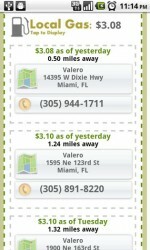 The Coupons App is a great application is you are looking to save money on the go. Clipping out coupons is a thing of the past with this mobile app. 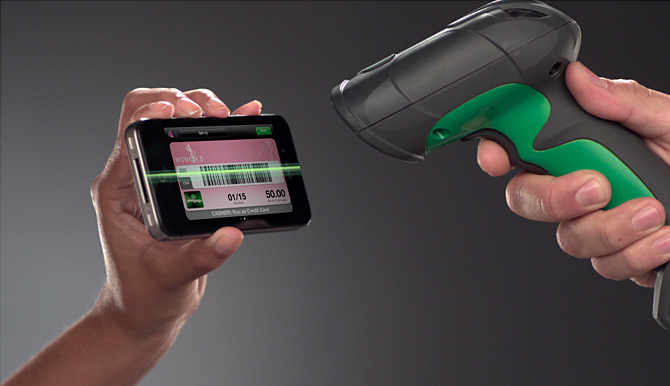 It allows you to scan the barcode of the product you are intending to buy to see if it is on sale with a coupon or at a better price at another store. You can also use voice activated search and local maps. Once you find these deals you will be able to pass them along to your friends through text, Twitter, email and other social media. 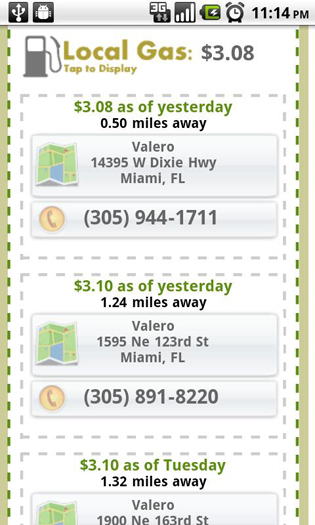 The Coupons App also locates the cheapest price at local gas stations making filling up less of a headache. This wallet friendly app is a shopper’s favorite price… free. The Coupons App is available for Android, iPhone, iPad and iPod Touch. Swagg is a more than just a coupon application, but an overall shopping application. Swagg will help you take charge of your shopping. The Swagg application allows you to import gift and reward cards so that you can keep track of all of your balances in one place. This is mobile app allows you to budget out your spending by allowing you to see your balance on gift cards before you get to the checkout. Swagg also makes it possible for you to buy, send and exchange gift cards with many notable retailers including JCPenny and The Gap. It also features coupons from over 4,500 retailers. Swagg is available for Android, iPhone, iPad, and iPod Touch. This budget-friendly app is free, giving you more money to shop. 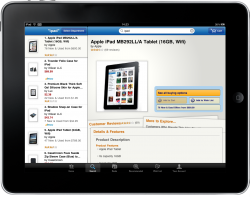 Amazon Mobile is a very popular application used by shoppers across the globe. You can search the retailer’s wide selection on Amazon Mobile which gives price comparisons with thousands of other retailers. It has many features which will make online shopping a fun experience. You can read reviews, shop by department, and share products with friends. Snap It feature allows you to take a picture of a product in order to search and will grant you access to Amazon’s one click purchasing. This application is available for Android, iPhone, iPad and iPod Touch. The Amazon Mobile app is free, leaving your wallet happy. Be Nice To Bunnies is an animal friendly mobile shopping app developed by PETA. 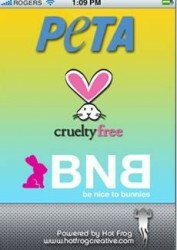 It allows you to check if a product was made without harming any animals or if it was tested on animals. This mobile app has a searchable database that can help you to make informed purchasing decisions on items including makeup, household cleaners and pet food. You can search by brand, manufacturer and product category. You can even view all products in a simple “Do” or “Don’t” list based on the companies ethics. This animal-friendly app costs $1.99 and is available for iPhone, iPad, and iPod Touch. Shopping can seem overwhelming. It seems as though every store is having a sale, but how do you know if it is actually a good price? Mobile applications can help by providing details about where to shop to get the best deals, warranties and more. Keep in mind that these lifestyle applications are constantly being updated and added to new devices so make sure to check online if they are available for your device. Once you have selected the right mobile shopping apps you are ready to go and get the most for your hard earned dollar.